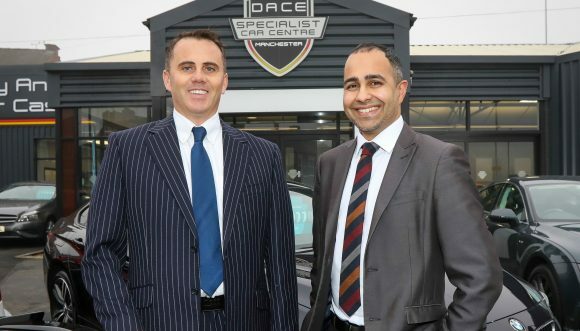 DACE Motor Group has opened a new dealership in Eccles – creating 20 jobs in the process. 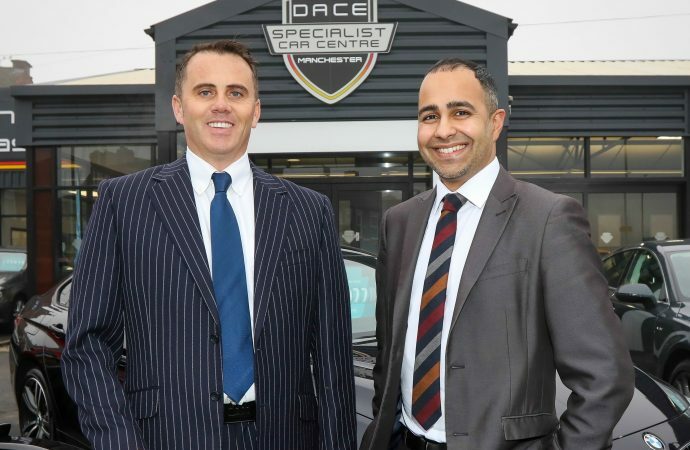 Now operating across four sites in Greater Manchester, with three in Stockport, Dace buys and sells a wide range of used motor vehicles. Its newly developed Eccles showroom – a former Skoda garage – offers high-end cars such as BMW and Mercedes-Benz, but also offers quality affordable options. The new 6,000 sq ft dealership, which has been bought with support from a seven-figure funding package from HSBC UK, will create 20 jobs and is expected to increase turnover by 25 per cent over the next financial year. The HSBC package will help the business to acquire new stock, ensuring maximum capacity. Steve Dace, pictured left, director of the motor group, said: ‘We’re incredibly proud to open the doors of our new Eccles dealership. Dace has never been a business that simply moved through the gears and we’re pleased to see our attention to detail and passion for customer service rewarded. Zubayr Atcha, right, HSBC UK corporate relationship director for Greater Manchester, added: ‘The motor trade has had a difficult time in recent years but Dace has continued to show sustained growth over this period. Dace Motor Group was founded in 1993, with its first dealership opening in Reddish, Stockport.